Three moonstones in a sterling silver drop setting. 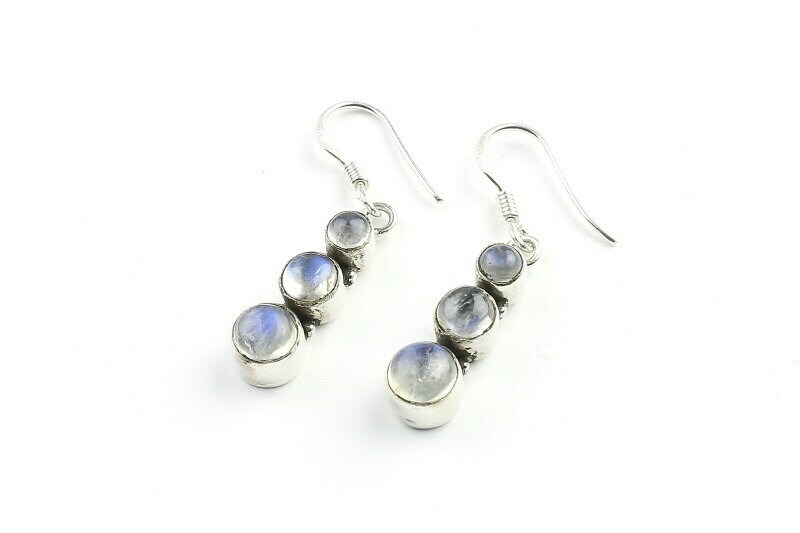 Moonstone is a stone of calming and hope, associated with all types of love. Unique setting of a series of three circles. Please note this is a genuine gemstone piece. These stones are made in nature, each piece is unique and may vary slightly from what is shown. Length With Hook: 1 3/8"
These earrings are beautiful. Thank you!